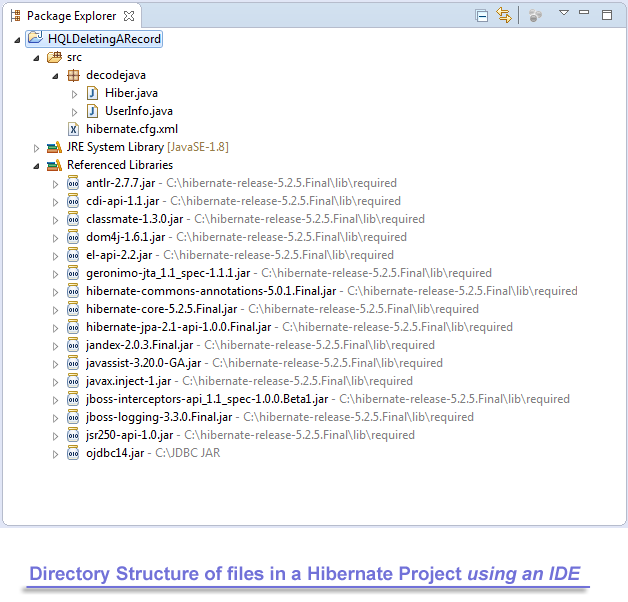 In our last article, you saw how to update a record of a database table(mapped from a class) using Hibernate Query Language. Today, we are going to show you delete a particular record/object from a database table, using Hibernate Query Language(HQL). This database table contain contains the relational form of objects of an Entity class. This class will create some UserInfo objects, which will be persisted in a database table using the Hibernate and finally a particular object is retrieved using Hibernate Query Language. //Deleting a particular user details. //Retrieve and displaying details of all the remaining users. Project Folder - HQLDeletingARecord is the name of our Project and it is a top-level directory. 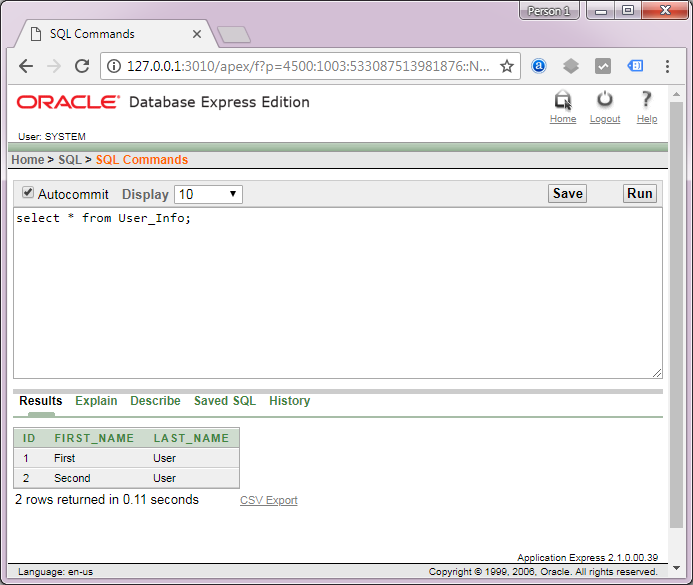 This output shows you all the SQL commands executed by the Hibernate within the database to create the tables and save three objects and finally deleting a particular record/object from this table using the property firstName having a value Third using Hibernate Query Language command, which also gets translated to an SQL command as you can see in the output above.